A localized species known from a single site (EOO <10 km²). It is not threatened. Richtersveld, near Umdaus, north of Steinkopf. Crevices in quartzitic-mica rocks and amongst rubble, occasionally in shade of small shrubs. There are no significant threats to this species. There were historic mining activities in the area, but mines have been abandoned. Conophytum species are popular in succulent plant collections, and since this is a rare and recently described species, it may be targeted for its novelty value. The population however occurs in a very remote and difficult to access area. Conophytum species are generally easy to cultivate from seed or cuttings, and therefore this species should be more easily obtained from cultivated sources. 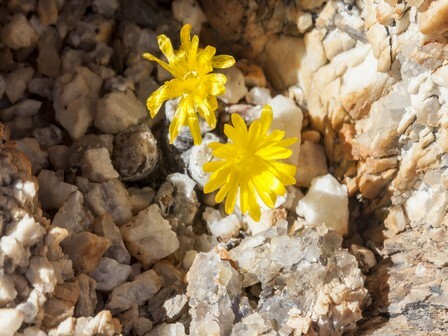 Conophytum smaleorum was recently (2009) discovered in a very remote area of the eastern Richtersveld. At the type locality it is locally common, and the population is scattered across a hillside and hilltop. No estimate of the population size has been made, but it is likely to be more than 1000 mature individuals. 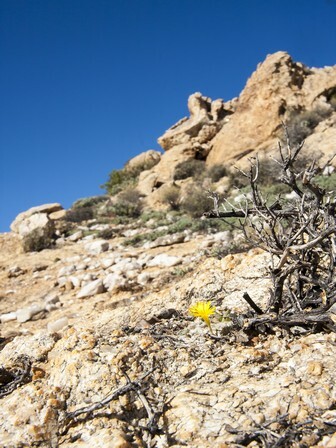 The area is difficult to access, and similar habitat in surrounding areas remain relatively poorly explored. It is possible that other, still undiscovered subpopulations exist. Rodgerson, C. and Young, A.J. 2013. 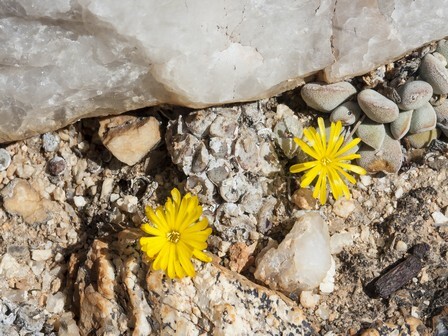 Conophytum smaleorum: A new Knopie from the southern Richtersveld. CactusWorld 31(3):197-201.